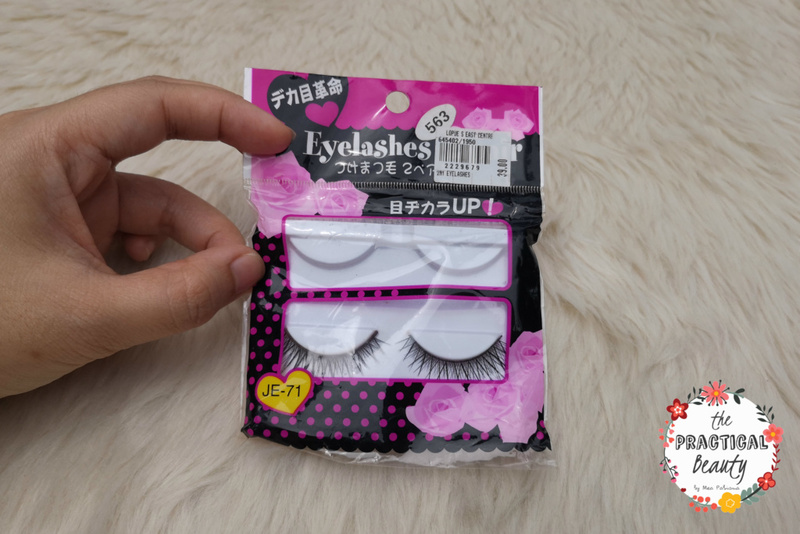 Here in the Philippines, there are plenty of places where you can get a cheap pair of false eyelashes. Personally, the lowest I’ve paid for cheap lashes is around PHP 20 or $US 0.37. It’s a great price, but the problem is the quality. In most cases, you’d want Kardashian-like lashes that are feathery and thick, yet natural-looking. Most of the lashes that range PHP 20 to PHP 50 (prices that I am ok with) are anything but natural. So, how do you approach this practically? Honestly, I don’t wear false eyelashes often, even during events. If I need to look WOW for a wedding or a ceremony, then yes, but other than that, I use two coats of mascara. 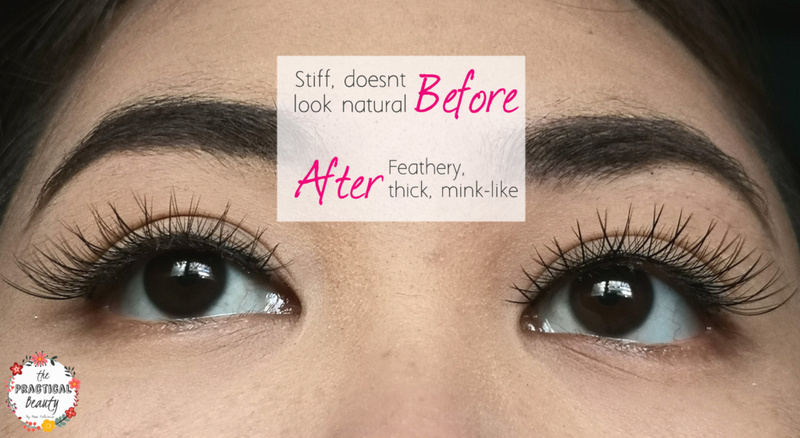 Recently, however, I am reconsidering wearing cheap lashes more because I tried out an old yet surprisingly effective lash hack that turned my PHP 20 falsies into mink in a matter of seconds. 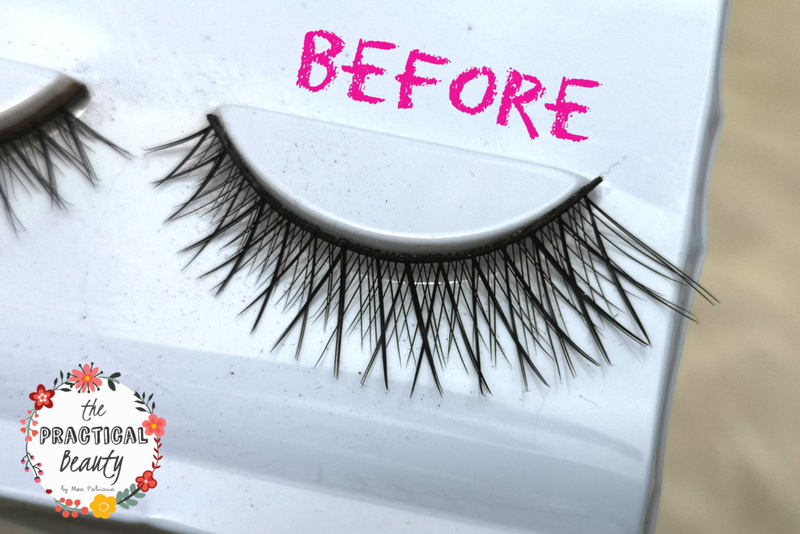 It is so easy to do that I wondered why I didn’t try the eyelash hack earlier. You just need two things: a spoolie (or spooly) brush – a tool you would normally use for eyebrows – and a cheap pair of eyelashes. Play the video below for a demo and some quick instructions. The instructions are self-explanatory. 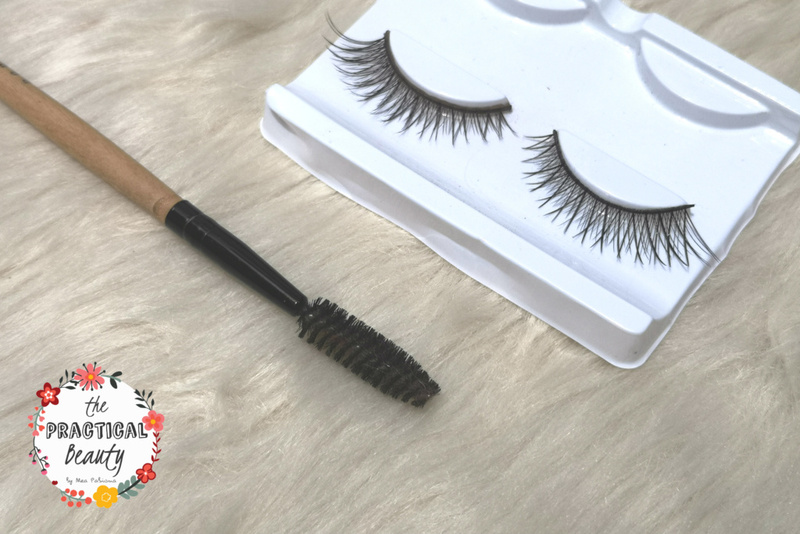 Don’t be afraid to really brush the lash so that each hair strand is separated. You’re going to see black particles which is normal. Some hairs are also going to fall off the falsies. This is alright. Just keep on brushing it until you get your desired look. 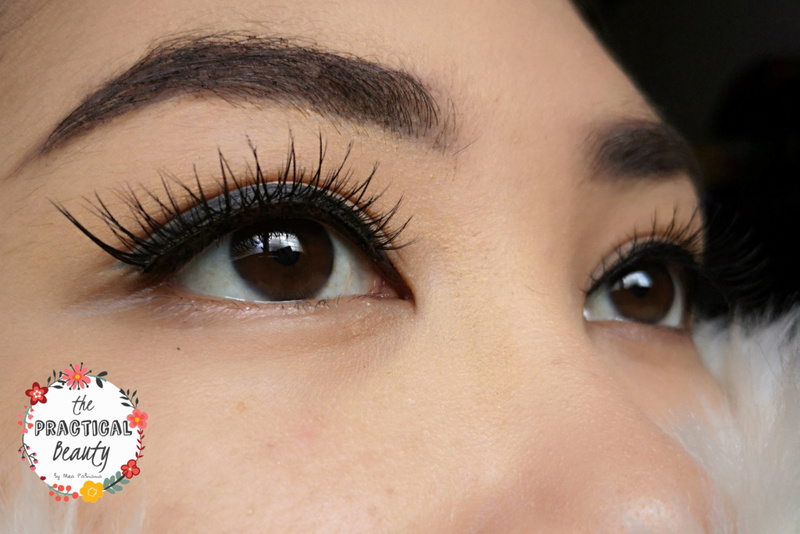 When you choose a pair of falsies to work on, make sure that they are not too thick. Choose the pair that’s closest to the look of the lash that you want. 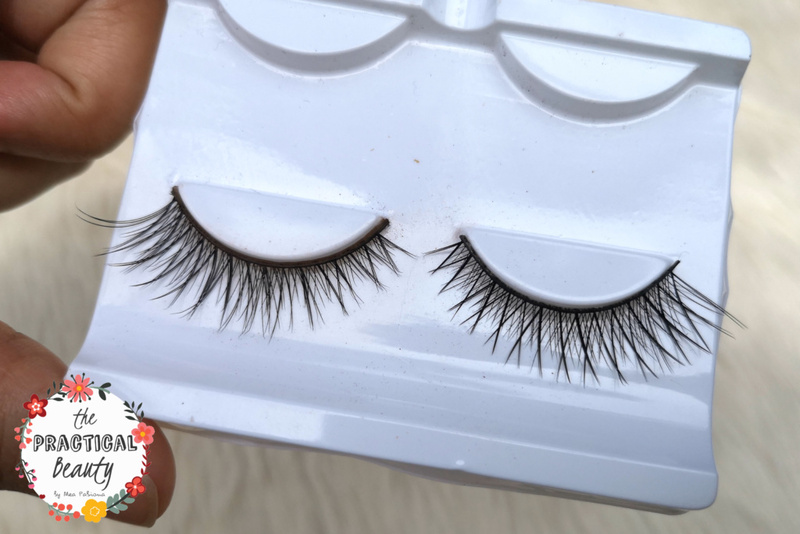 The most Kardashian-like lashes are called “wispies” or “mink”. To see the results clearly, I took photos of just the lashes with and without eyeliner and mascara. With the kind of lashes I got, a non-dramatic liner worked best, but of course, it will depend on the falsies you’re working with. 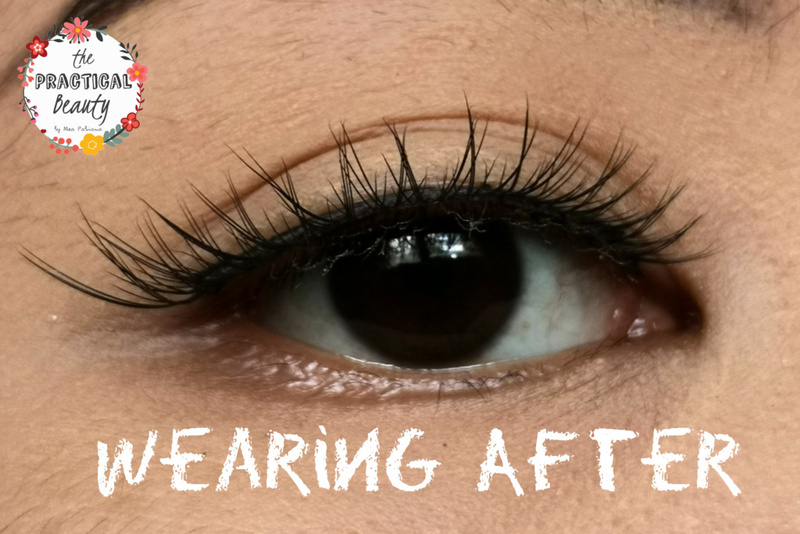 Don’t forget your mascara, you’re going need about one coat to blend your lashes with the false ones. The result is amazing for something that’s really simple to do. Yes, I know that there are lashes out there that are quality, but from my city, I’d have to order them in advance because they are usually from the capital. If I need a pair of lashes, I can just buy a pair at a local store and make use of this hack. Can you tell which eye has the brushed lashes? Here’s what the lashes look like with eyeliner and mascara.